SKU: ND04806. Category: Cooking. Tags: healthy desserts, healthy recipes, raw sweets, wholesome desserts, wholesome foods. Why Naturally Healthy Desserts? They are Laura’s secret weapon for success in living a Naturally healthy lifestyle every day, and now they can be yours too. These desserts can be enjoyed often without all the negative side effects that come with traditional desserts. Each recipe is carefully crafted and will satisfy your craving for sweets without compromising the flavor that you have come to expect from decadent desserts. 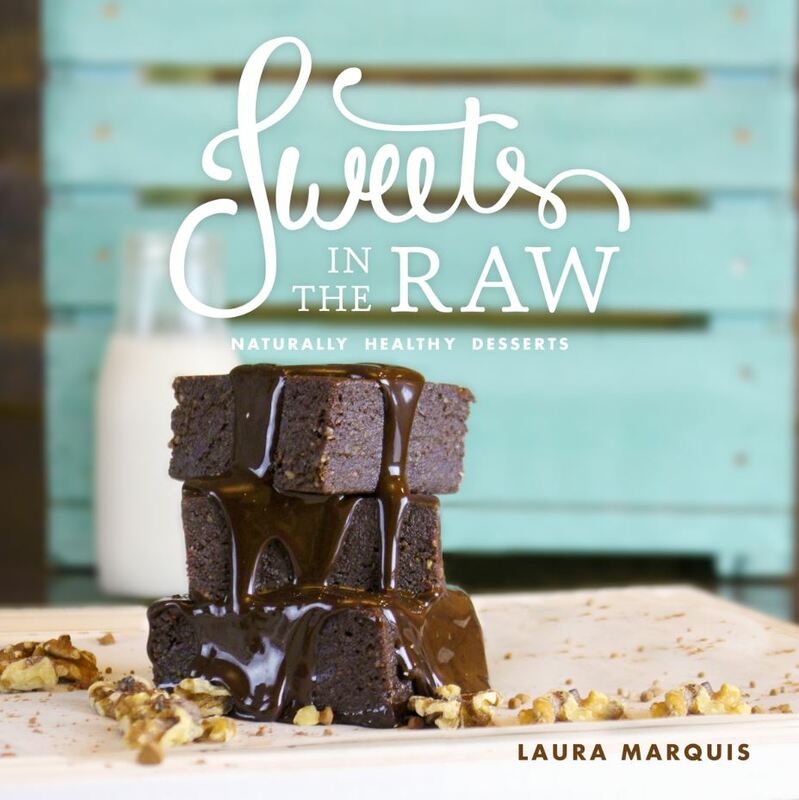 Sweets in the Raw is a must-have for anyone with an insatiable sweet tooth and the desire to eat healthy! Delicious desserts are now healthy and free of guilt. Laura Marquis is a welcome and inspirational new voice from inside the world of health and fitness. In response to her own lifelong struggles with gluten and dairy intolerance, she researched and developed innovative nutrition programs to benefit her clients. In 2015, Laura shared her experience with sugar addiction in a brave and compelling TEDx talk at Loyola Marymount University. Creator of Naturally Healthy Lifestyle, Laura now shares these decadent desserts without the refined sugar or the guilt. Truly Cultured: Rejuvenating Taste, Health and Community with Naturally Fermented Foods is a first-of-its-kind treasury, a full circle tribute to the world’s favorite foods. Clearly, as the tagline reads. Half cookbook, half “nourishment guide”, this long overdue full color tribute to live cultured foods and how important lacto-fermented foods and their producers, friendly probiotic bacteria, are to our health, environment and communities. Vegan-Ease: An Easy Guide to Enjoying a Plant-Based Diet – In this comprehensive cookbook, Laura Theodore, the award-winning host of public television’s Jazzy Vegetarian, brings us full menu plans, shopping lists, and over 130 delicious, quick-and-easy vegan recipes, each complete with nutritional analysis.